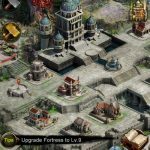 Shadow Kings is a unique city builder/strategy game for Android and iOS phones and tablets, courtesy of Goodgame Studios. 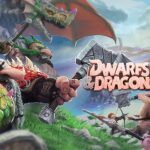 According to developer, this title puts you in a funny fantasy world and has you joining up with noisy dwarves and proud elves as you fight evil monsters such as orcs, goblins, and trolls. You can form alliances with your fellow human players, collect weapons, build your army and build your city in general, paying attention to the usual details one has to keep in mind when playing a city builder. 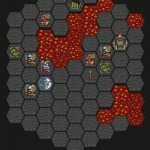 Yes, it’s a funny fantasy world alright, but the following Shadow Kings strategy guide, we can assure you, is dead serious on how to improve your game. We’ve probably told you this numerous times in numerous strategy guides for other mobile games. 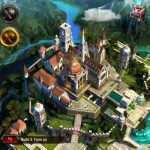 In Shadow Kings, the same rule of thumb applies – if you aren’t sure of what to do next, there’s nothing better to do than to follow the quests. They’ll tell you what has to be built and what has to be done in general, as quests will guide you on the right path to building and expanding your city. You’ll be able to track your food reserves on the top right hand corner of your screen. And if food is running low, build more farms so as to avoid losing units due to starvation. Existing farms should also be upgraded when possible; this allows you to increase production rate. And that’s one thing you want high at all times – if your consumption rate exceeds your production rate, you’re essentially starving your units to death. The game’s tax collection system has you setting a certain amount of time for the collection of taxes. You’ll need to allot more time for a lot more citizens if you want to earn a lot of gold through taxes, but there is a catch – you have to reenter the game once the set timeframe is up. And if you restart the game after that timeframe, you’ll progressively lose gold. You don’t want that to happen, so be sure you can return to the game right on time (or close to) when setting times for tax collection. It doesn’t need to be down time for your men while you’re waiting for a building to be constructed or upgrades to be completed. Feel free to multitask and keep your troops busy; one way to do this is by sending them out on a shadow camp raid. Early on in the game, you’ll have a chance to build a Mystic Tower in your city. This building allows you to hire mystics, and their job is basically to spy on your behalf; you can deploy them, for instance, when selecting a shadow camp. Having too many mystics out there increases the chance of you being discovered by the enemy, but also increases the accuracy of their spy information. As such, it’s best to keep everything balanced – shoot for a fairly high accuracy rate, but a low chance of getting found out by the bad guys.